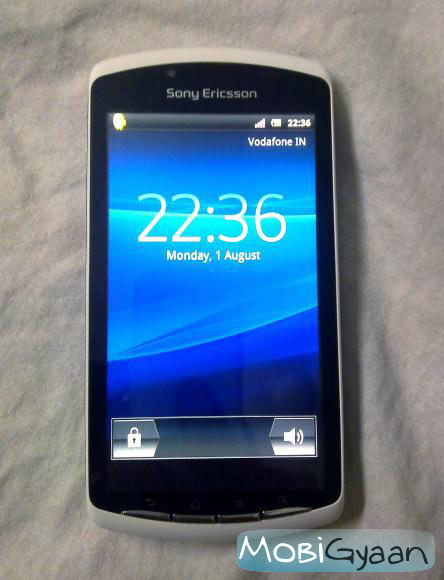 The Sony Ericsson Xperia Play was believed to change the smart phone gaming world by bringing in HD and console like gaming to the smart phone. Has it really done achieved its goal? Well, let’s see how the device fairs as I get to test and review it. It’s the age of HD and dual-core processors with hardware accelerating GPUs. Hand-held console gaming is in a new era. There surely was a need of a handset made entirely for gaming purpose, as the last device that made an impression was the Nokia N-Gage, and we hope the Play doesn’t disappoint us. The handset is big, chunky and is a little heavy. The large 4 inch display is nice, but it could’ve been a little brighter. The 4 physical buttons below the display are nicely chromed up and are easy to use. 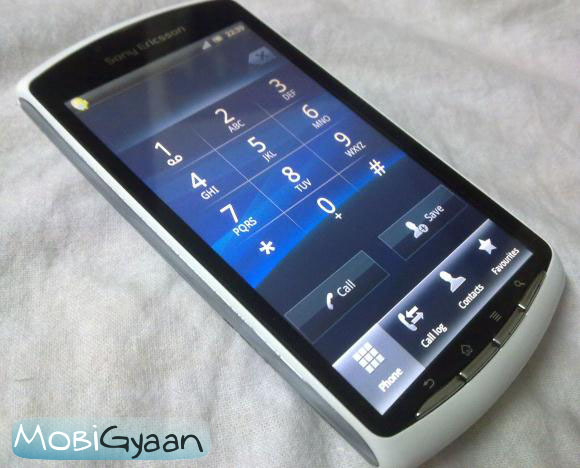 The body is mostly plastic and chrome on the sides, which makes the handset look nice. 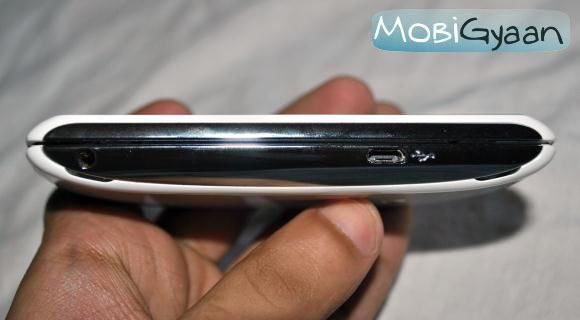 However it is prone to slipping through your fingers and the chrome sides are finger-print magnets. On the top there is only the power/sleep button which has a little LED that indicates charging and notifications, pretty convenient. The power key is a little hard to reach though as it is a little small. On the left there is a 3.5mm audio jack, the micro-USB port, and two speakers. The right side has two shoulder buttons for gaming (L-R) and a volume rocker in the middle. Sadly no camera key, and the shoulder gaming buttons only work for gaming. Below there is a small hole for the microphone and gap to put a lanyard. The back is dominated by plastic which is a bit too slippery, well at least for me as I have sweaty hands. 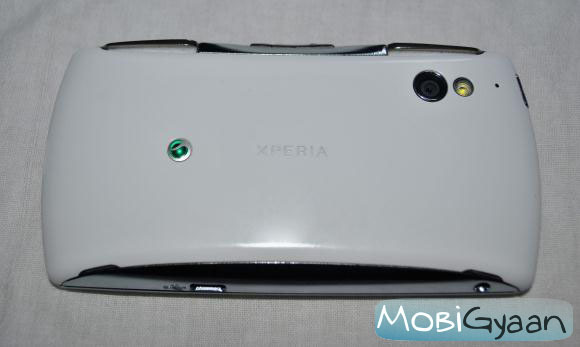 The back also has the 5MP snapper with an LED-flash, also a microphone when recording videos. Behind the back cover is a 1500mAH battery which gives a decent full day charge, but gaming doesn’t last more than 3 hours. 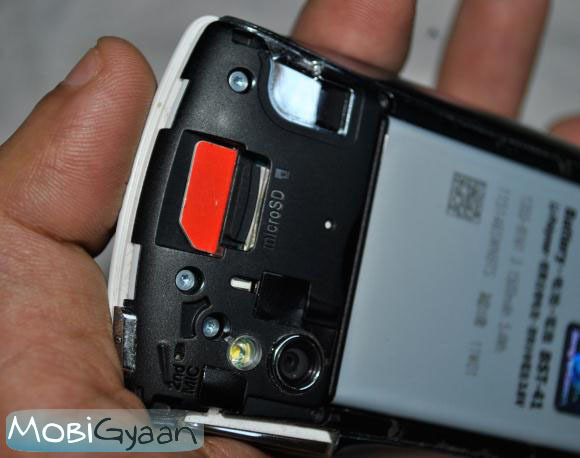 The SIM and micro-SD card slots are on the top and you don’t need to remove the battery to reach them. And off course the slide out PlayStation console key-pad. It has the direction pad on the left, the traditional Cross, Circle, Square and Triangle buttons on the right. 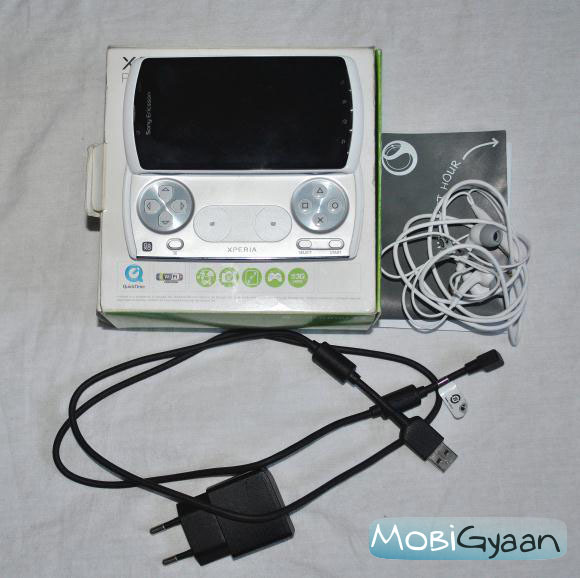 There are also menu, select and start buttons and a touch-sensitive pad in the middle which acts as the analogue sticks. Shoulder buttons L and R are also present, which will reside just below your index fingers, although they are a little cramped in. Like all Android device it has 5 home screens with loads of widgets, a notification bar on the top, a dock for 4 app icons and the menu icon, and off course the menu where you can access all of the installed apps. Sony Ericsson’s Timescape app is a delight though; it integrates all your messages, email, missed calls, Facebook and Twitter in a nice window scrolling app with a nice animating interface. The OS is pretty responsive, with very minor lags which you will probably not even notice. Adding/removing/arranging widgets and apps are very simple by pressing on them for long and placing them wherever you wish. You also get a PlayStation portable look with similar wallpapers from the console. With respect to gaming, the platform does seem ruin the fun. If you play one of the Xperia Play game titles after running a few apps or even closing every single app in the background, the games tend to lag. 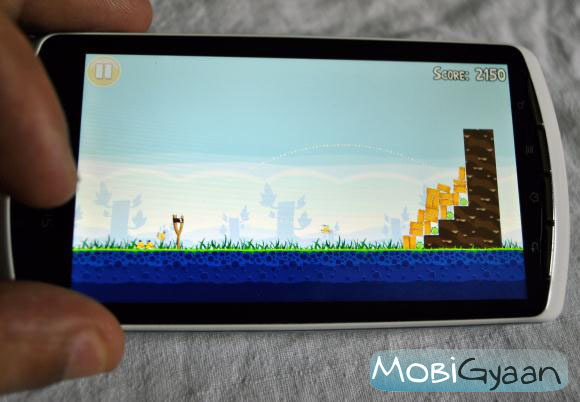 The games require chunks of RAM, and the Android platform provides just enough of it. However this issue should be solved in further phone updates. I liked the camera and it clicks very good pictures and 5MP and nice 720p videos with crisp audio. However the camera zoom functionality was nowhere to be seen. The in camera-app settings work pretty nicely if you are a shutter-bug. 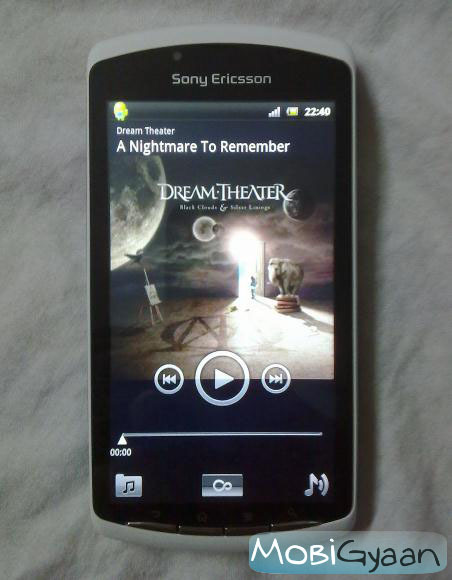 The music player is a charm and the handset offers some amazing sound quality. The supplied in-ear headphones and crisp audio quality makes is perfect for music lovers. The only thing missing is FM radio, which is surprisingly ditched by Sony Ericsson. 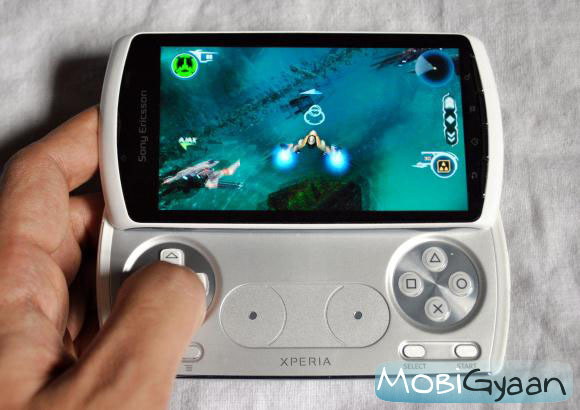 The gaming experience is great, with the nice game titles that will keep you occupied for a couple of hours, although the battery lasts just about 3 hours when playing Xperia Play Games. Also the device tends to heat up in an hour if you play at a stretch of 20-30 minutes, which is annoying. The graphics and the quality of games are great, and the hardware supports it well. The graphics engine and the 1GHz processor handle rendering of the frames nicely. The only issue is the RAM, which I hope was 1GB, or maybe the processor was a dual-core which would have made the experience even better. The slide-out keypad is comfortable and very easy to operate if you have ever experienced a PlayStation console. The shoulder buttons at first seem hard to reach, however after an hour of play you won’t have any trouble tapping the L and R buttons. The analogue round touch pads in the middle respond well, but it will definitely take time to be a pro using them. I tried my hands on Star Battalion HD, FIFA 2010 and Bruce Lee; and I was thoroughly satisfied with all of them. 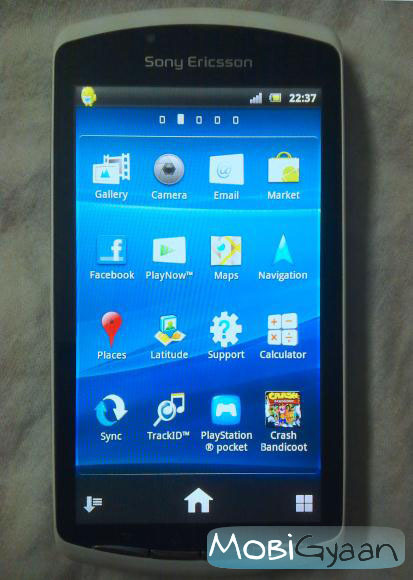 Non-Xperia/PlayStation games like Angry Birds, Fruit Ninja are also fun to play on the device. Sadly the gamepad doesn’t work for the normal Android games. 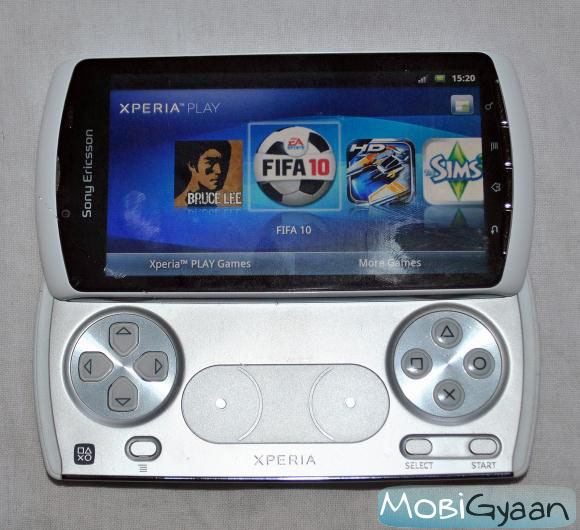 My personal opinion is that this is a very good gaming handset; however it could have been better. A dual-core processor, more RAM and the most crucial feature that is missing is an HDMI-out port. It could have been the king of mobile-gaming handsets, but it’s just not up to the mark. The handset packs in all the Android goodness with a punch of games, a decent camera, good audio quality and nice curvy looks. If you are looking for a good gingerbread handset and love your gaming every now and then, well this device will not disappoint you.